Most of the attacks took place in the Mariupol sector. In the past day, the Russia-backed militants 38 times fired at the positions of Ukrainian militants in the zone of the antiterrorist operation in Donbass, the ATO press center reported on 29 November. The terrorists fired 120- and 82-mm mortars, grenade launchers and Lugansk in the areas of Krasnohorivka, Shyrokyne, Starohnativka, Mariyinka and Talakivka. Enemy snipers were active in the areas of Novotroyitske, Hnutove and Mariyinka. In the Luhansk sector, the militants fired mortars, infantry fighting vehicles weapons, grenade launchers, anti-aircraft guns and small weapons at the villages of Krymske, Novooleksandrivka and Novozvanivka. Stanytsya Luhanska was under sniper fire. 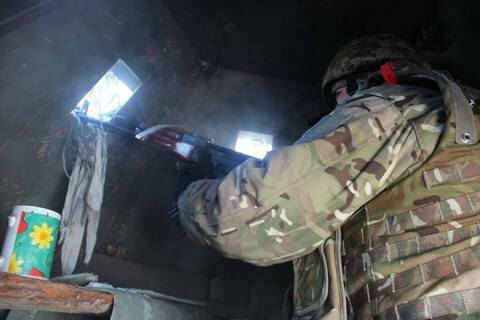 In the Donetsk sector, the enemy fired mortars, grenade launchers of various systems, infantry fighting vehicle weaponry and small arms at the positions of the ATO forces near Avdiyivka and Luhanske.